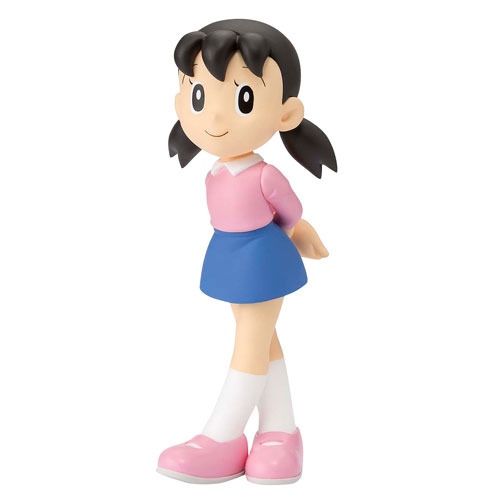 Everyone's favorite little heroine from the Doraemon series is coming to Figuarts ZERO! Shizuka Minamoto appears in her signature pink outfit and pigtails. For additional posing possibilities, Shizuka-chan's head is adjustable with a ball joint feature. You can also recreate Shizuka-chan's cute smile with the included interchangeable facial expression parts! Figure measures over 2 1/2-inches tall.